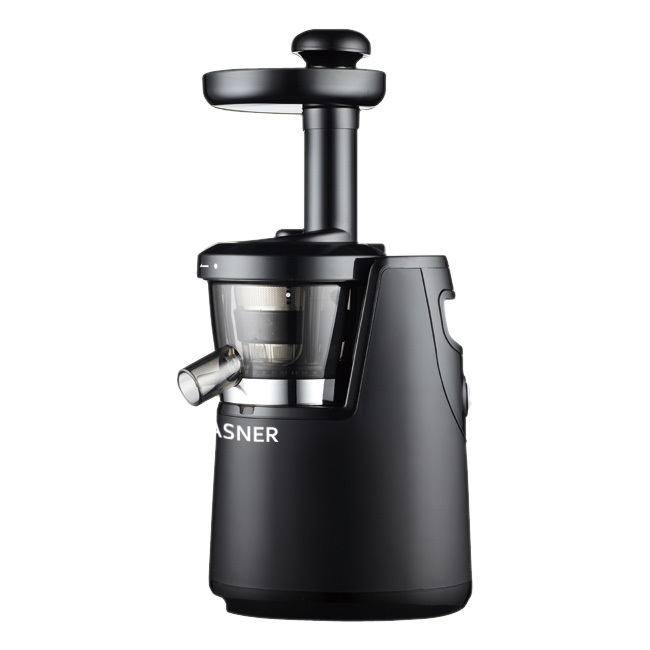 VASNER Juica – the premium cold press juicer. 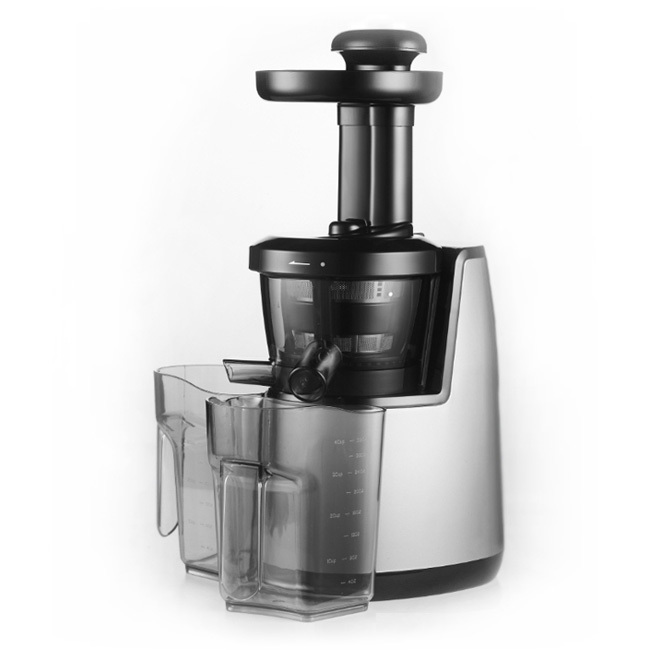 VASNER Juica cold press juicers simply press all your fresh fruit, vegetables, berries and super fruits. 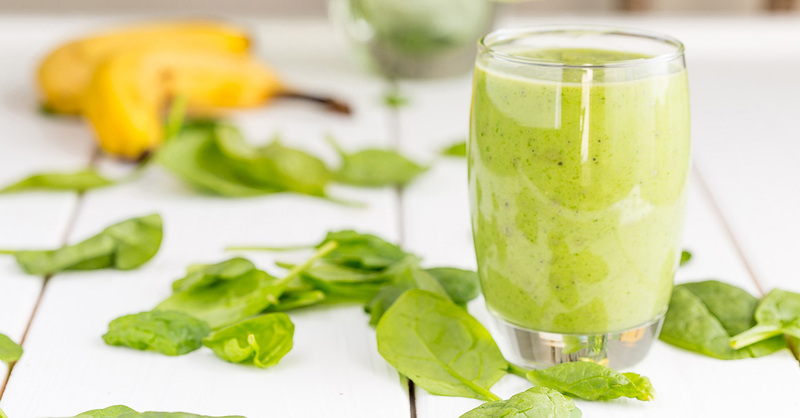 For even more vitamin goodness and minerals in your smoothies and juice. 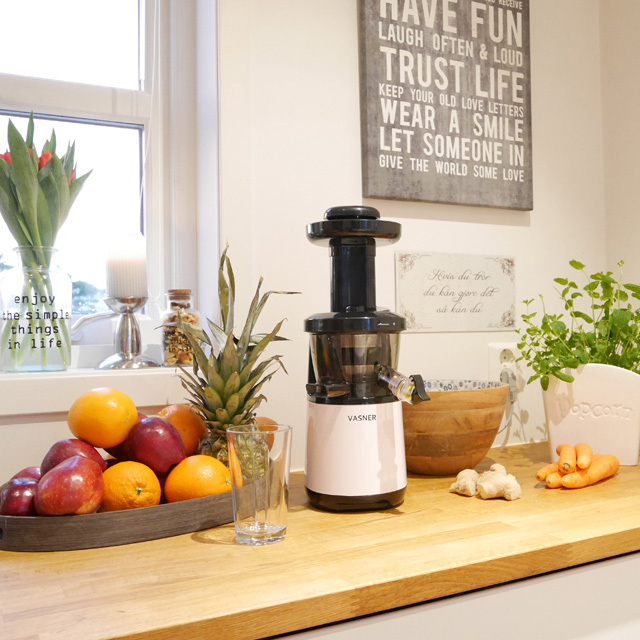 You can now quickly press your very own healthy juice creations and supply your body with essential vitamins every day. Before work, after playing sports or as a refreshing drink when sunbathing in the garden. 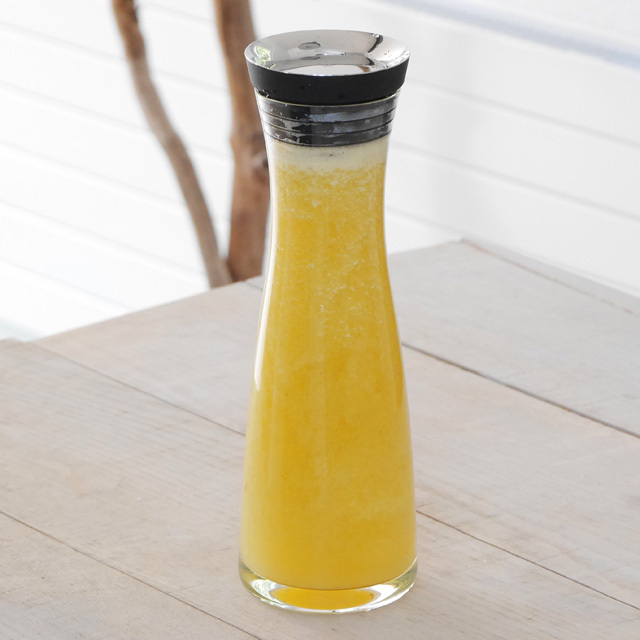 You can press all conceivable kinds of fruit and vegetables to create a juice just for you. You can add whatever you like: Apples, oranges, carrots, melons, cherries, berries, tomatoes and even ginger. There’s no limit to your juicing ideas. Let your creativity run wild – from mouth-wateringly sweet and refreshingly herby to pleasantly sharp. With endless recipes, you can whip up something completely new – and healthy – for your family and friends. What makes VASNER’s Juica cold press juicer so special? The slow juicer’s particularly high-quality processing mechanism allows ingredients to be pressed especially slowly and carefully. The motor supplies the tapered shaft with extremely high force but at a low speed. As a result, the vitamins are released particularly carefully and are not spoiled by the process in contrast with conventional juicers. This means all the goodness can be transferred to the juice. The power and efficiency of VASNER’s Juica is demonstrated by the dry yet healthy fruit-pulp bar that is produced at the side of the machine. This pressed pulp is particularly tasty in muesli, desserts or in many other recipes. Use fruit and vegetables to make two tasty products at the same time: Vitamin-enriched juice and vitamin-enriched fruit bars. For the perfect energy boost. The Juica’s advantages are hidden in the details. Beside a sophisticated and timeless design, the machine also stands out thanks to its ease of use, strong base and excellent fruit and vegetable guides, which work almost automatically. Thanks to the interchangeable sieves, you can decide how much fruit pulp can be found in the juice, if indeed any at all. For ease of cleaning, the entire tapered mechanism can be dismantled in just a few steps. Child’s play – that’s VASNER quality. 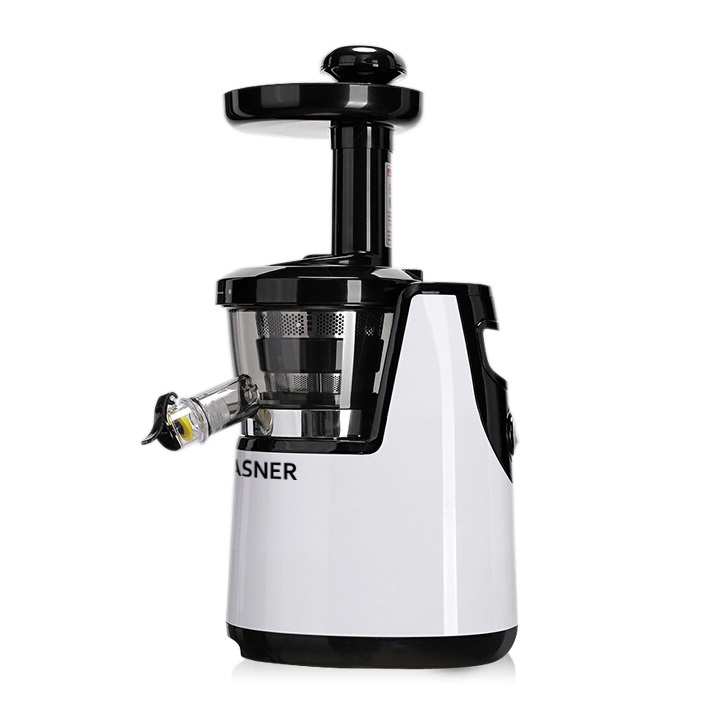 The VASNER Juica juicer is available in modern white, matt black and stainless steel. Simply stylish in any kitchen. 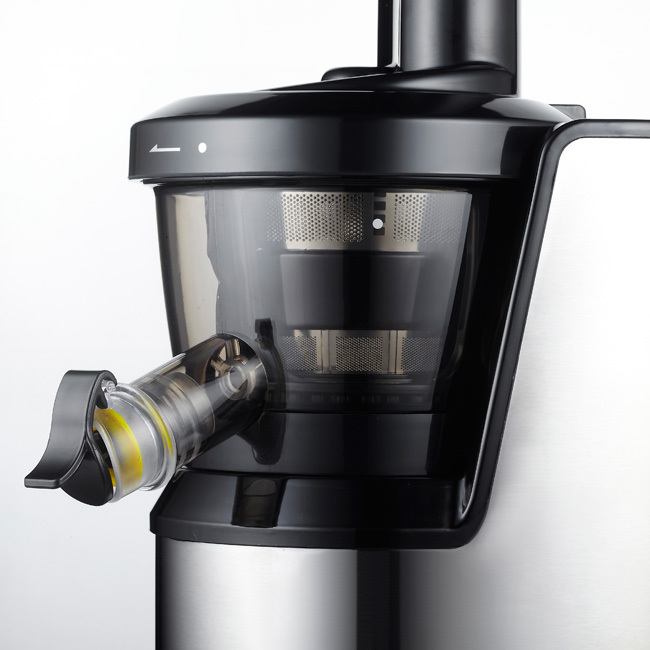 Find out now what better juice quality means with the Juica.